d) SALTDEAN CHURCH: St Nicholas’s Church in Saltdean Vale was designed by Edward Maude and was dedicated by the Bishop of Chichester on 8 May 1965. 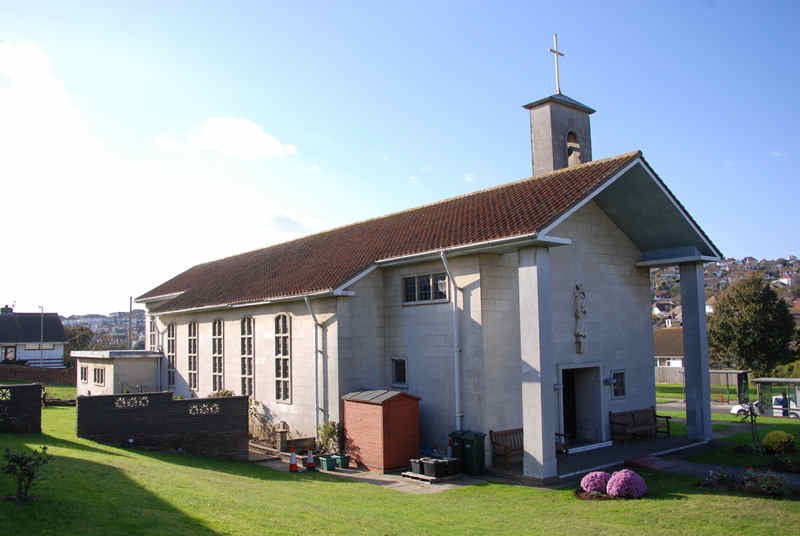 Constructed in a grey stone with a tall tower, it was erected following a fund-raising campaign and replaced a temporary church of 1951 which is now the church hall. St Nicholas’s was consecrated as Saltdean parish church in December 1970. My wife and I were married in this church on the 05/09/98. It was a day I will never forget. We still live in Saltdean and I couldn’t think of a better place to live. My children were Christened here in 2003 just before we moved to Spain after living in Saltdean for 17 years. Saltdean was lovely and very good to us. We have fortunately found somewhere equally as nice,and a tad warmer.LOL. Paul,Bev,Holly and Harry Hubbard.